Caisson Investment Management and their JV equity partner Parabola Capital have added another industrial site to their portfolio. 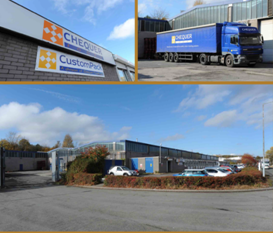 They have acquired Chequer Foods in Telford for c.£2.317m. The site comprises a 93,580 sq ft warehouse and the transaction shows a net initial yield of c.5.75%, rising to an expected 11.5% with fixed uplifts.